The debate on the superiority between the spincast vs spinning reel have been on for quite a long time. Most of us that had sound knowledge of the baitcaster and use it often thought it was the only reel that made sense. Along the line, I started testing other reels to know the difference. And one of the reasons I did this was to find something that would increase my fish count. Another reason was that I wanted to get firsthand information so I can help my fellow anglers understand the different reels better. Take a stroll into any fishing equipment store and move to the reel section. 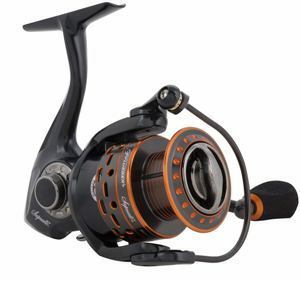 You will be overwhelmed by the numerous options available for the spinning, spincast and baitcasting reels. In this post, I will share with you information on the spinning and spincast reels to help you make informed decisions. Let’s start with the spincast. The spincast reel is usually among fishing kits for starts, which mostly includes children. The previous models were nothing but mere toys. But the top models of nowadays, the ones you find in high-end fishing stores are quite an upgrade. They do not even look like toys. Spincasting reels comes with covered spools. One of the advantages of these reels is that they are designed to offer superior line control. You won't even experience that wind knot which is usually formed in the spinning reel when the line twists. You can case and also retrieve the line with ease. At this stage, you need to push and hold a button or switch which is on the equipment itself. And ensure you release the button or switch you are handling when you perform your last casting motion. Lunching your cast wherever you want is possible. All you need do is to push the button or switch again. But I would advise you get the best spincast reel so you or your kids won’t be frustrated when the reel starts failing. Also, use a good cast rod too. 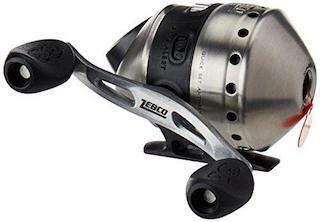 Regarding ease of use, the spinning reel is quite simple, though the spincast is the easiest. The spinning reels are more suitable for starters or moderate anglers who are eager to learn more about fishing. We find that the model below is one of the best spinning reel we ever came across. Use the hand you often use to hold the fishing rod. The reel should come below it. The foot of the reel regularly comes between the middle and ring finger. Check out the best spinning rods here. Reel in the fishing line or pull it out until there is only six inches of it that hangs out when you look at the top of the tip. Then, gently turn your handle to the point where the line roller comes under your hand's index finger. Using the index finger, ensure the line is held against the fishing rod. Then use the other hand to open the bail and point rod to the direction you want to target. This is how a spinning reel works. At this stage, let the rod be in a vertical position. But when it has gone halfway near your target, release the line using the index finger. Take note of the timing. The spinning and spincast reels are great for fishing. But the spinning reel is more suitable for beginners or intermediate anglers who are just starting out. The spinning reel is also very compatible if you compare it with the likes of the baitcaster. I use it to cast different tackles such as artificial lures and even live baits. Nevertheless, both spinning and spincast reels are easy to use. 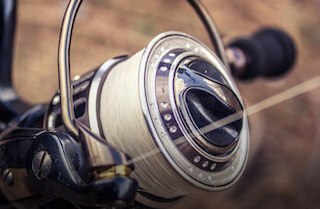 Check this article out for the best reels in the market today. In a nutshell, the chief among both regarding simplicity is the spincast. So when you compare the spincast vs spinning reel, these factors should come to mind.